Koi Art Gallery is proud to present “Life in Monogram” solo exhibition to be held from March 13 –April 30, 2015. “Life in Monogram” is a solo exhibition of latest artworks by Silawit Poolsawat, a talented artist from Thailand’s renowned Silpakorn University. The Thai artist has been attracted to the energy of history and painting since a young age. Combining his love for both in this exhibition, “Life in Monogram” presents the lessons hidden in old photographs that have faded away. Old photographs have all the markings of an imperfect memory: they are typically faded, damaged, and unused. However, the aura of the old is what inspires Silawit Poolsawat in creating his masterpieces. The authenticity and rawness of it provokes him to animate and breathe life into what was once extinct. 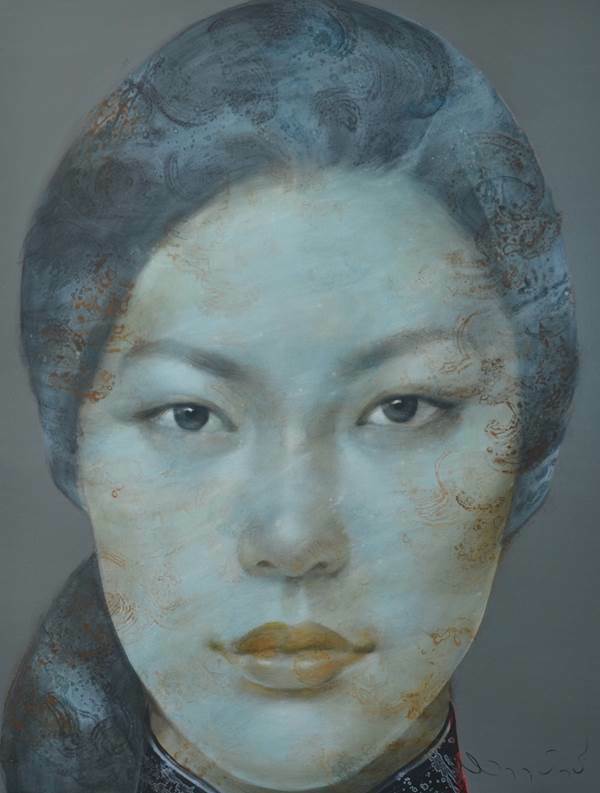 The subjects in his works are inspired from various old photographs of Asian women. They provide an emotional historical passage to the way of living, culture, and the belief system of today’s generation in Southeast Asia. Along with the emotional portraits of past beauty, the artist takes the audience on a journey to the past – reminding us of an era when monograms were in style and beauty was authentic. The artist believes that although the photographs have faded with time, the culture and beliefs are still of value today and preserves their essence through his mesmerizing paintings.